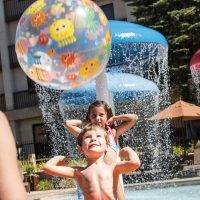 In an area that easily claims to be the “Water Park Capital of the World,” Kalahari Resort and Conference Center rules as a national trendsetter and one of the country’s most popular family resorts. This is where it all began before the resort expanded into Sandusky, Ohio and other areas. The resort stands out nicely with its African theme and has constantly added new attractions throughout the past decade, from bigger thrills in water park rides to its newer indoor theme park. The indoor water park is Kalahari’s claim to fame and a top draw in an area so dense with resorts, theme parks and entertainment. 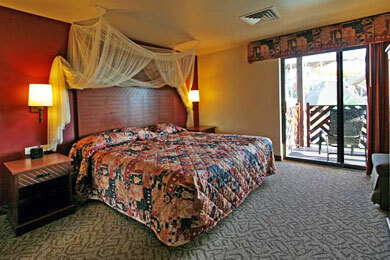 What else makes Kalahari stand out? For one, size. There are 752 rooms and suites to accommodate families of all sizes. For kids, it’s all about the fun, including the 125,000-square-foot indoor water park, the 77,000-square-foot outdoor water park, and the 110,000-square-foot indoor theme park that opened in 2008. There are enough activities and things to see that the resort can feel like a dry-land cruise ship. African music spills out from the lobby where staff members dressed in safari gear and pith helmets assist guests and real tiger or lion cubs may be on display in a glass enclosure. There is a paint-your-own-pottery shop, gift stores and seven dining options including a restaurant overlooking the water park. You don’t have to go outdoors either to access the 15-screen Desert Star Cinema. 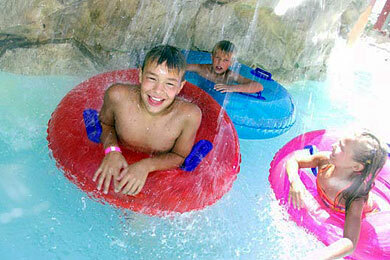 All these amenities make Kalahari an ideal resort for kids 6 and older. Little ones would have plenty to do, but older children can better appreciate the African atmosphere and artwork, can navigate longer halls without “Carry me!” tirades, and enjoy the bigger thrills of the water park and theme park. If you’re on a budget, be wary. There are countless ways to blow it with photo purchases available at every thrill ride, booths with fanciful hair braids and tattoos, arcade games throughout the theme park, pay-per-view movies. There also are plenty of edible temptations such as picture-perfect caramel apples and creative, unique treats at The Sweet Hut. Keep in mind additional fees, too, such as indoor theme park passes, the daily resort fee for general amenities and additional fees for crib or rollaway rentals. Our advice? Plan well and make sure kids have an allowance or can accept agreed-upon limits. Then, let them go wild. 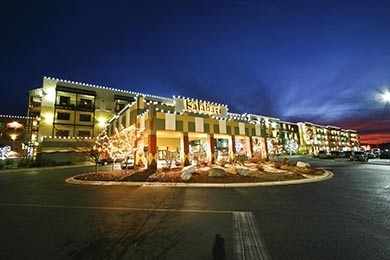 Kalahari features 752 rooms and suites in its four-story building. Even the most basic rooms have families in mind with the mini-fridges and microwaves that can make quick meals and snacks possible and affordable -- especially with early birds or night owls. Another convenience is retractable clothesline in the showers for drying swimsuits. Rooms also include flat-screen TVs, coffee makers and free Wi-Fi. Most rooms sleep four while two-bedroom suites can accommodate up to eight. Some suites have balconies or views of the lobby, and some have whirlpools. For more space, condominium suites in the adjacent Sands Building have full kitchens, balconies and fireplaces. Ny-Um-Ba luxury condominiums are standalone units off The Sands Building. Ten units are supersized with five bedrooms for large gatherings. swim up bar is unbelievably strict. 21 and over? They even have a bouncer who asks anyone and everyone for ID before entering. I understand not wanting little kids but if you’re legally an adult you should be able to enter. Other than that, good all around experience. Great location, accommodating staff, plenty and plenty of things to do. Would’ve been a 5 if it weren’t for the awful experience at the swim up bar. We are in a suite in the Sands building and our “bathroom” is a closet you walk into to enter the room! We are trying to get ready for Easter mass and I will just drive home. The “master bed” is in the pathway to get to the kitchen and living area. It is completely backwards. So, as I walk down the hallway I get to look into everyone’s bathroom because they all have the doors propped open because their children are running wild in the hallways. The floors and elevators and parking lots are all littered with trash. A supervisor could not be bothered to come and have a conversation with me personally, she spoke to me over the phone at the front desk and offered zero solutions to my absolute disgust and frustration. This is one of the worst hotel visits I’ve ever had. 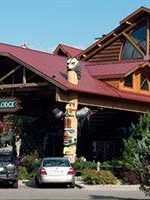 I thought this was one of the higher end hotels in the Dells, I was wrong. Admission to the 125,000-square-foot water park -- one of the area's largest -- is included in room rates based on the number of beds. If you have two queens, you'll have four passes, but can purchase two more if you have kids or family members using the sofa sleepers. Preschoolers, toddlers and even older kids gather at the two-story Safari Adventure with its nine slides, tunnels and interactive toys. The Victoria Falls raft ride is tame enough for little ones, too. School-aged kids will clamor for the thrills of the Master Blaster water coaster or the Rippling Rhino, a three-person tube slide that's a more exciting family option than the raft ride. There are several other tube and body slides, as well. Pre-teens and teens love the 40-mph zip of Tanzanian Twister, a slide that shoots riders into the swirl of a giant funnel before being shot out the bottom. Also popular is the FlowRider, the nation's first indoor stand-up surf ride with simulates five-foot rides. Guests can bodysurf or register for stand-up surfing lessons. 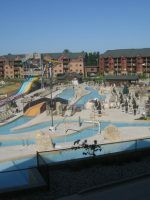 The park includes many of the standard water park features, including a wave pool, lazy river, basketball and activity pool and five whirlpool spas scattered throughout the park. There are concessions and a snack bar at the park, a place to order pizza, and a bar. If you are in a larger family group and have a few little ones or grandparents who want a little privacy at the water park, cabana rentals scattered throughout the water park are a popular option. They seat several people with cushioned chaise lounges, a flat-screen TV, refrigerators and a break from the hustle-bustle. The new Grand Cabana has a private hot tub, two TVs and accommodates up to 19 people. Outside food and drink is not allowed in the park or the cabanas. The water park sells some day passes for non-guests during quieter times of the year. One of the biggest thrills at the 77,000-square-foot outdoor water park, opened seasonally, is the new two-lane Extreme Rush racing slide that brings out the competitive streak of siblings or parent-child duos. It's a headfirst on-a-mat plunge through 420 feet of rolls and drops. There's also a raft ride, tube slides, lazy river and the Swahili Swirl that shoots riders from flume to vortex before dropping into a pool below. Toddlers and preschoolers head to the 6,000-square-foot interactive play area. The SplashDown Safari incorporates geysers, jets, cannons, wheels and a giant splash bucket with monkeys, tigers, lions, zebras and snakes. Guests can rent a private bungalow area (much like the indoor cabanas) for a more pampered experience and privacy Memorial Day through Labor Day. The resort's best drive-by sight is seeing the six-story illuminated Ferris wheel as it spins at night. It's the visual anchor of the 110,000-square-foot indoor theme park. While the Ferris wheel calls out to kids of all sizes, most of its attractions offer more speed or thrills generally geared toward kids 6 and up, like a two-story go-cart track, a Sky Trail Ropes Course (great for dare-devils and kids not afraid of heights), laser tag battle arena, 24 bowling, mini golf and climbing walls. But little ones can also enjoy the African-themed merry-go-round or the indoor playground. Adventurous, active families will tackle the climbing walls and ropes course, which isn't for the faint-hearted but a good esteem builder for pre-teens and older. Laser tag and mini-golf are other good options for families wanting to play together and without the longer lines at the go-cart track. Admission to the indoor theme park is an additional per person, per day fee. You also can pay for rides individually. 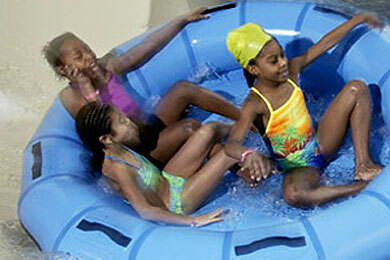 As a family resort, Kalahari's spa welcomes children, an usual feature for a resort. The jungle theme continues into the spa with leopard and animal prints in the decor, which is a peaceful sanctuary from water parks. Specials for children include Little Princess package with 90-minute manicure, pedicure, hairstyle and tiara, plus make-up and goody bag for girls 2 to 8. There also are Little Lady packages for 'tweens and one for teens. Outside the children's programs, the spa feels decidedly grown up and smells deliciously fragrant. Among the most popular services are manicures, hot-stone massages, couples treatments and Moor mud wraps. One of the biggest hits for complimentary activities is chance to glob rainbow-bright frosting and sprinkles onto cookies shaped like elephants, lions and hippos. It's often scheduled around check-in, making it a popular way to kick off a stay. This kids' activity area on the far side of the indoor theme park is popular with preschoolers and grade-school kids who like do-it-yourself souvenirs such as picture frames, necklaces and seasonal crafts, usually less than $5. Parents or guardians are required to stay with kids 12 and under. Guests also can check out board games for free. Also popular for the ultimate in hands-on souvenirs is the resort's own paint your own pottery studio, located right on the premises. (Have you ever heard of such an amenity?) The pottery is not included with the stay and will cost additional fees. For more traditional family outings, Kalahari's onsite movie theater provides 15 theaters with the biggest and newest movies. Possibly the most popular stop for guests and visitors alike is the Sweet Hut with ice cream cones (try the chocolate-dipped ones cones), caramel and candied apples, roasted cinnamon-and-sugar almonds, chocolates, and seasonal sweets such as pumpkin spice ice cream and candy eyeballs for Halloween. Right in the lobby area but with a nice tucked-away feel, this restaurant often has cheap kids' meals with each adult meal, plus a tasty lineup of salads and sandwiches, breakfast and dinner entrees. You can order kids' meal standards or go for their fresh twist on PBJs: a build-your-own with waffles instead of bread and gummy worms for fun. The Asian salad comes piled high in between layers of fried wontons. This steakhouse features classic steaks and seafood, too! The kids' menu includes things like pasta, grilled cheese, tacos, burgers and prime rib. Reservations are suggested. Pizza, burgers, sandwiches, tacos and more are available at the center of the indoor theme park. The caveat here is the view of the water park through its huge windows that makes it easy for early-risers to dream about which slides they'll tackle while eating pancakes and eggs. While many items cater to kids and their more predictable tastes, many entrees appeal to adults, such as char-grilled salmon marinated with vanilla and mint served with cranberry hollandaise sauce and asparagus or African spice-rubbed char-grilled steak wrapped in bacon served with five-cheese ravioli. If guests want something light and quick like sandwiches, gourmet Carr Valley cheese, pastries, cookies and desserts, this is the place to come. It's also popular for morning coffee drinks. Be sure to get the Children and Family Activities guide when you check in to maximize a weekend. It lists activities such as cookie decorating, special events such as a Halloween haunted house, daily surf lessons on the Flow Rider, games with prizes such as game tokens, coloring contests and family movies. Some do require a fee. Check in is at 4 p.m., but guests can pre-register by noon and hit the water park or theme park early. While room checkout is at 11 a.m., guests can use lockers and stay at the parks until closing. While the resort doesn't offer its own babysitting service or drop-off kids programs, you can call Pop-In Nanny Agency at (888) 384-9007 for childcare. If you want to enjoy the outdoor water park with thinner crowds in the summer, aim for the last two weeks of August or first week in June. For fall and winter, you'll find better deals and fewer crowds September through early December (excluding holidays). Go mid-week rather than weekends if possible. Crowds peak mid-June through mid-August and from Christmas through spring break in March and early April. 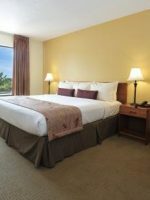 The resort is right off Interstate 94/90, about 90 minutes from Milwaukee, 3.5 hours from Chicago and four hours from Minneapolis-St. Paul. 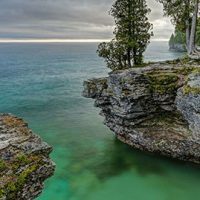 If you are traveling by air to Madison (50 minutes away) or Milwaukee, taking a bus or traveling by Amtrak to the Dells, you can notify the resort and pre-arrange a pickup. 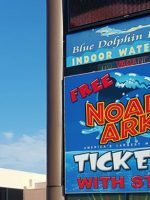 They also have shuttles available to other Dells attractions, such as Noah's Ark, the nation's largest outdoor water park. You can rent a car and have it dropped it off at the resort or rent a car at the resort for exploring the area. This is geared toward adults with pool tables, dartboards, foosball, drink specials, nightclub entertainment and room to dance. For a longer night out, there are two Vegas-style shows: Jeremy Allen's Grand Illusions or Rick Wilcox Magic Theater.